Whether you’re a small business or a large enterprise, knowing exactly who is coming in and out of your facility is critical to keeping operations safe and secure. Spotter’s access control systems use state-of-the-art hardware and software that is scalable for institutions of all sizes. Access control shouldn’t be “one size fits all”, that’s why Spotter works directly with clients to design and select the right system for your environment, ensuring that clients not only get the best technology but the best service! Spotter will install card readers and mount electrified door strikes at every entrance point, which are connected to a central access control panel. You can assign cards or key fobs that grant access via a user interface or software, giving you complete door access control over who comes in and out of your building! Spotter’s browser-based systems are easy-to-use and allow you to access your system at any time from any location with internet connectivity, including your mobile device! This means that you don’t have to be tied to your security room to terminate access, lock down doors, or change a schedule. Want to take a vacation but you’re worried about missing something important? Spotter has you covered with instant notifications. You’ll receive an email or text for events like unauthorized entry and doors forced or left open. Spotter designs a customized door access control system for every client to help tackle specific security needs, present and future. You can choose for a variety of access control solutions that can be easily scaled to cover a single door in one location, or cover up to thousands of doors across multiple facilities. Looking for a strong, secure and simple solution without all the problems associated with maintaining servers, software and additional IT infrastructure? Spotter’s cloud-based security access control system allows you to access all of your data online anytime, anywhere via a secure website. Do you want to be able to have a bird’s eye view when notified that there is a problem? Linking your access control system with video surveillance allows you to see exactly who is entering and exiting your building. 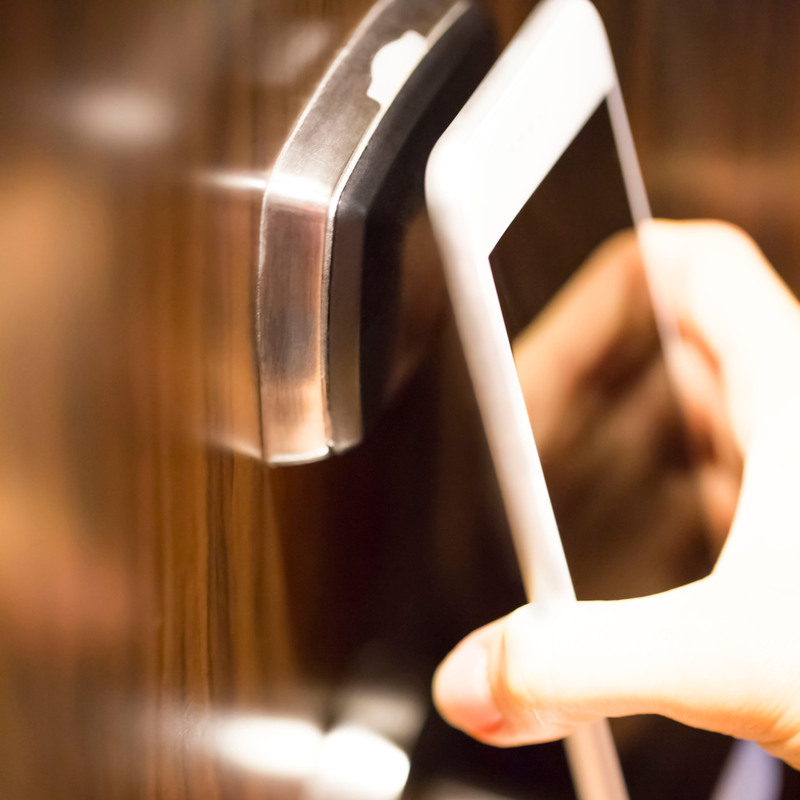 Nowadays, everyone carries a smartphone with them, so why not use it as your key card to get into your building? In addition to using cards and key fobs, Spotter can design an access control system that allows you to use your smartphone to open a door. Allowing smartphone access ensures that you never get locked out again because you’ve forgotten your access card! All buildings are required by law to have an emergency evacuation procedure complete with muster point locations. Spotter Security’s access control systems can be designed to provide you with an accurate count of how many people are currently in the building via a secured iPad. This allows you to quickly login and check the names and photos of everyone that was in the building before the evacuation, and even allows you to take attendance directly through the access control system!